It won’t be long now until AIM National Conference 2016 takes place from the 23 – 25 June at the beautiful Royal College of Surgeons in Edinburgh. The planning and organising behind AIM National Conference 2016 is going well and we are very excited about the speakers and social events this year too. We want to enable as many of our members as possible from across the UK to attend, so if you are planning to come to AIM National Conference this year, there are several ways to help you reduce costs. The Early Bird offer for AIM members closes on 24 April. Prices start at £45 a day and this offer is for AIM members only. More details about this offer can be found on the Conference 2016 Booking page. You can now apply for an AIM Training Grant of up to £300 all year round. AIM Training Grants are available to support member museums in developing the skills and expertise of their workforce (paid or voluntary). The purpose of AIM Training Grants is to promote best practice by supporting attendance at conferences and training courses – including AIM National Conference. Applicant museums must be AIM members and priority will be given to smaller museums receiving less than 50,000 visitors p.a. If you are applying for an AIM Training Grant to attend conference, the closing date for applications is Friday 13 May at 5pm. The Federation of Museums & Art Galleries of Wales is offering grants of up to £250 maximum per person to contribute towards conference fees, travel, the conference dinner and two nights’ accommodation. Priority will be given to independent museums (staff and volunteers), museum mentors and museum development officers. Museum Development North West have announced that they are offering two free places at this year’s AIM Conference. These two opportunities are open to all museum professionals in the North West, except members of staff of Major Partner Museums and National Museums. Please visit the Museum Development North West website for further information. All museums in Yorkshire are being offered the opportunity to attend AIM National Conference 2016 for free thanks to Museum Development Yorkshire. One place is for Local Authority museums and one is open to all. We will be hosting a Chairs’ lunch on the first day of conference which is kindly sponsored this year by Development Partners. The purpose of the event is to provide Chairs with an opportunity to meet, get to know each other and share ideas, as well as giving AIM the opportunity to meet you and hear your views about how we could support Trustees more in the future. We are delighted that we will be joined by guest speaker, The Right Honourable Henry McLeish, who was the First Minister of Scotland from 2000 -2001. Henry is currently Chair of the National Mining Museum of Scotland and was recently Chair of a major review of Scottish football. He was also a member of the Broadcasting Commission and Chair of the Scottish Prisons Commission, both set up by the Scottish Government. Since leaving main stream politics, Henry has lectured widely, particularly in the United States, and published several books. AIM National Conference 2016 is kindly sponsored by Artelia. AIM National Conference 2015 – all the news! 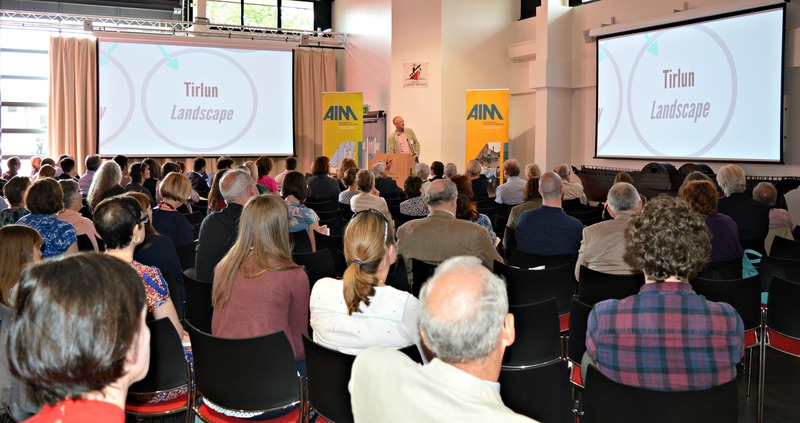 Thank you to everyone that attended AIM National Conference 2015 #2015AIM this year – and to those that weren’t there in person, but who supported conference from afar. 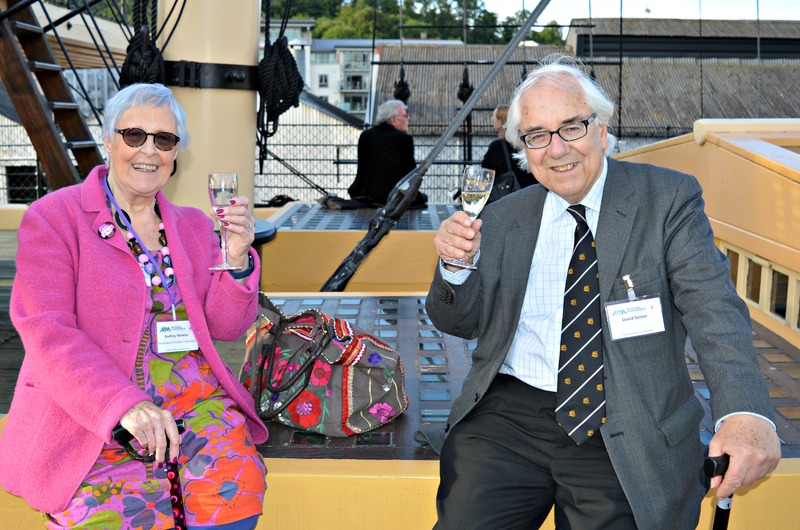 It was a genuine pleasure meeting so many of our members and seeing everyone enjoying the incredible speakers, the glorious surroundings of Brunel’s ss Great Britain – and the fantastic weather. There were thousands of Tweets and social media posts about conference this year and we even started trending on Twitter – thank you for being so involved with us on social media! 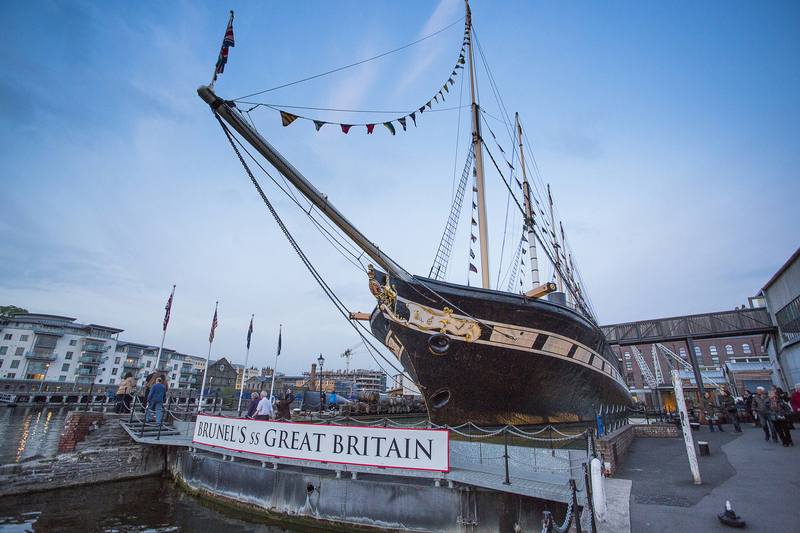 AIM National Conference 2015 runs at at Brunel’s ss Great Britain in Bristol from June 18 – 20. Among highlights of the conference, which will have an exciting new format, AIM is launching its new ‘Hallmarks of a Prosperous Museum’. The conference will focus on three key themes: Leadership, Purpose and Governance; Innovation in Visitor Experience and Entrepreneurialism and Income Generation. The conference will feature 30 guest speakers, 12 breakout sessions, new surgery sessions and keynote speeches from some of the UK’s leading cultural experts. New for this year will be a ‘Question Time Debate’ chaired by Matthew Tanner with a guest panel including: Richard Evans (director, Beamish, The Living Museum of the North); Diane Lees (director-general, Imperial War Museum); Judy Niner (director of Development Partners and chair of Cogges Manor Farm) and John Orna-Ornstein (director of Museums, Arts Council England). Evening social events including the AIM annual dinner, the annual trade exhibition showcase products and services, and a Saturday study tour visiting three historic locations in Bristol, plus plenty of networking and idea-sharing opportunities, all contribute to what promises to be a rewarding and informative conference ideal for anyone connected to the UK’s heritage sector. See you in Bristol from June 18 – 20th! AIM is inviting Chairs of Trustees from Independent Museums to a lunch event on Thursday 18th June 2015 from 11am to 1.30pm at Brunel’s ss Great Britain, Bristol. There is no charge to attend the lunch as it has been sponsored by Development Partners. The purpose of the event is to provide Chairs with an opportunity to meet, get to know each other and share ideas, as well as giving AIM the opportunity to meet you and hear your views about how we could support Trustees more in the future. AIM will be represented by some of its Council members, themselves Directors of museums and frequently Trustees of other charities. Our guest speaker for the lunch will be Diane Lees CBE, who is a Trustee of several different organisations, as well as Director General of Imperial War Museums. Diane will share her experiences of good governance and bad, across the many organisations with which she has been involved, including the Army Museums Ogilby Trust which supports many small, regimental museums and the Board of Governors of the University of Lincoln. She will offer her views on what Chairs can learn from these experiences, which might help them to hone and improve governance at their own museums. The next brave soul to enter the AIM spotlight is Bryan Snelling, Executive Director of The Gordon Highlanders Museum in Aberdeen, Scotland. Bryan has held the position of Executive Director since 2014 and entered the museum sector after a highly successful career working for Student Unions across the UK, eventually working his way up to become General Manager at Aberdeen University Students Association. This solid background in managing finances, training and development and HR has reaped rewards for The Gordon Highlanders Museum which is now flourishing under Bryan’s care. As a person, Bryan is friendly, engaging and passionate about innovation and he possesses a keen eye for detail and natural ability to see the bigger picture – traits which have helped to increase the income and visitor numbers at the museum. When he’s not working, Bryan enjoys playing hockey and is proud to be Centre Forward/Striker for his team, Granite City Wanderers. A devoted Dad of two young children and a keen reader of fiction and crime thrillers, Bryan is easy to talk to and it was a genuine pleasure for us to catch up with him over the phone for this interview. Bryan will be giving a talk entitled ‘Leadership and entrepreneurialism at the Gordon Highlanders Museum’ at conference where he will share the things that have worked (and not worked!) in diversifying and increasing earned income at the Gordon Highlanders Museum. This will be his first time at AIM conference and he is looking forward to meeting colleagues from other UK independent museums. AIM: What can people expect from your talk at AIM conference this year Bryan? BS: Well, my talk won’t be rocket science, and some of what I plan on saying might seem obvious… but someone has to say it! I hope people can take away ideas that make them think “Why didn’t we think about that?” and that they leave motivated. I will be talking about income targets, the different areas that can help to generate money for a museum and what we have done at The Gordon Highlanders to increase our own income. Sometimes small changes can make a huge difference, for example, we moved a shelving unit that was blocking the access to our shop and our shop sales leapt by 30%. That unit had been preventing walk through trade and when it was moved, it was evident that making small changes and seeing things in new ways can really help. AIM: We can often stop ‘seeing’ things can’t we when we work in the same environment every day, so making changes can be so helpful, but what do you hope people will take away from them after hearing you talk Bryan? BS: As much or as little as they want, but I really hope that by listening to our experience that it will inspire them to make changes for the better too. Of course, my talk will be based on our experience and this won’t be the same for everyone, but maybe some of the talk will help support others to increase their core funding too. I am talking for fifteen minutes, so if only ten seconds of what I say will help someone in the audience, I will be happy! AIM: Why do you think AIM conference is useful for UK independent museums? BS: Because no matter what the size of the independent museum you come from, ultimately we are all in the same boat. It will be a good chance for likeminded people to come together and discuss their issues with others that have been through the same things. Most importantly, we aren’t all in competition with each other, so we can freely share information to make things better for the museum sector in general. AIM: That’s very true and conference is great for networking and idea sharing amongst independents but why else are independent museums are so unique Bryan? BS: I think it’s because of the wide variety in terms of collections and also size. There are massive independent museums like the ss Great Britain and also small museums run by a handful of dedicated volunteers – that’s what makes the independent sector so wonderful. Their uniqueness comes from their diversity and variety. Also, independents are like the proverbial speedboat! We can make changes instantly in what we do without having to jump through hoops first. If we want to make a difference, we can do so immediately. The best analogy is that we aren’t a super tanker that takes weeks to get anywhere – we are fleet of foot and fast moving. We can lead the way because of our flexibility. AIM: So, what are you most looking forward to about AIM conference this year personally Bryan? BS: Well, this will be my first AIM conference as I have only been working in the museum sector for the past sixteen months, so I am most looking forward to meeting others in the same situation. AIM: AIM conference is famous for its informality and friendly atmosphere – you will have a great time! What other talks and sessions on the schedule this year interests you? BS: I really want to see Pippa Griffiths’ talk called ‘Something for everyone; engaging with our local community’ because we are trying to engage our local community more too. Community engagement can be a powerful marketing tool, so I hope to pick up some tips from her talk. I also look forward to hearing Bernard Donoghue at his talk called ‘The Great British Day Off: Who to you think you are? Meets Downton Abbey – What a great day out feels like’. AIM: And finally, before we let you go for a well-earned cup of tea, what would you say to encourage others to attend conference this year? BS: I would say to give it a chance and try it because unless you do, you won’t know how good it is! If you leave AIM conference with new ideas and contacts – great! If not, then at least you have tried it. Ultimately I would say “What have you got to lose?” It might very well be the best decision you have ever made. AIM: Thanks so much for your time Bryan. Is there anything else you would like to add? BS: Only that this is my first AIM conference, so please feel free to come and speak to me at any time so I feel less like Norman no mates! On the Friday afternoon of conference this year is a talk by Kevin Moore, Director of the National Football Museum in Manchester, entitled ‘Scoring with Visitors and Netting the Rewards’ and Kevin will be sharing his ideas on how to maximise your visitor experience along with top tips for generating income from your visitors. With over 480,000 visitors each year, the National Football Museum is one of the most popular museums in the North West and Kevin will be imparting some of the ways that the museum engages with its many visitors. Kevin has been Director of the National Football Museum since the beginning of the project in 1997. He is an experienced museum professional of international stature. He is regularly invited to give papers at museum conferences around the world, and has published a number of major books about museums, including the internationally acclaimed Museums and Popular Culture, Museum Management and Management in Museums. Kevin is chair of the Sports Heritage Network, the organisation of the UK’s sports museums, libraries and archives, which is recognised as an important Subject Specialist Network by Arts Council England. He is also a Fellow of the RSA. A staunch supporter of AIM Conference, Kevin is an intelligent, witty and charismatic man who deeply cares about the independent museum sector and he enjoys AIM conference for its social aspects and for the opportunity it gives him to meet sector colleagues. He is the sort of chap that you can easily imagine staying up with into the small hours and chatting to about museum sector topics and we are sure that his talk will be a sell-out. AIM caught up with Kevin over the phone, and in-between some football related nostalgic chat, we discovered that for him AIM Conference really is about fellowship, camaraderie and the chance to gain top tips to help your museum succeed no matter what its size. AIM: Hi Kevin, thanks so much for taking the time to talk to us today and also for the football chat! Can we start by asking you what people can expect from your talk this year please? KM: My talk will be about how to have a fantastic visitor experience and also how to maximise visitor spend at your museum. 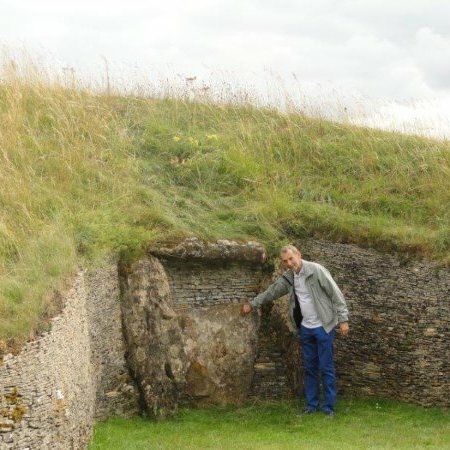 Those two things may sound like a contradiction, but if you look at the wider heritage sector and across the whole visitor attraction industry, you will see that there really is no contradiction at all. At the National Football Museum, we have free entry for visitors but we do still realistically need to raise £1 million each year alongside our core funding. Of course, our visitors don’t have to spend with us, but we provide a range of appropriate ways for them to do so if they wish. It’s been a learning process for us – and we are still learning – but one thing we have found is that people enjoy spending and many see it as part of a great day out. Maximising visitor spend is also about making the ask for donations…but it’s not only about asking, but about explaining to your visitors why their contributions are so vital. Yes, there can sometimes be embarrassment about asking – perhaps that’s a typically British affliction! – but providing good opportunities for your visitors to buy into your museum is worth it. My talk won’t just be a case study about what we are doing though, because I want to exchange ideas, open this subject up for debate and discuss with colleagues from the independent sector about how we can learn from each other to be more entrepreneurial. AIM: What do you hope that people will take away with them from your talk Kevin? KM: I very much hope that people will take away practical ideas and workable examples of best practice that they can apply at their own museum, no matter what its size. I really don’t want people thinking: “Well that’s great that they are doing that at the National Football Museum – but how does it apply to me?” because I want to learn from the audience too. AIM conference is always about sharing knowledge with others from all museums of all sizes. It was at AIM conference a few years ago in Manchester that I learnt one of the most valuable pieces of advice I have ever been given. I was chatting to a volunteer from a small independent museum and he said to me: “Kevin, you have a great museum, but I have a tip for you: stop leaving your coins on show in your donation boxes. Only leave the notes on display and you will encourage people to donate larger amounts and your donations will increase.” Well, I went away feeling slightly embarrassed, because that’s such a good common sense tip and I assumed that all AIM museums across the UK were already doing this apart from us! We put this into practice, and that volunteer was right – our donations did increase. So AIM conference really does have tips and ideas for everyone and I hope my talk encourages this. AIM: Why else do you think AIM conference is useful for UK independent museums? KM: It’s a brilliant conference for so many reasons. All the talks and papers are carefully chosen and are practical and full of advice that you can immediately implement. I always take a lot of notes at AIM conference and I know that this year will be the same. I also enjoy the fellowship, the social aspect of conference and the chance to talk with others. AIM conference is a good size and it feels informal and personal so you do manage to get around and chat to everyone. Small really is beautiful. AIM: What do you think makes independent museums so unique Kevin? KM: Because of how they developed. Independent museums are community museums; they tended to be set up by local people who were passionate about their subject or areas and who realised that mainstream museums were not adequately covering this. The independent sector is the best thing to have happened across the whole museum industry over the past fifty years, because they cover topics and collections not covered otherwise. Sports museums are a good example of this happening. The independent sector is also unique because it’s always had to be entrepreneurial. In this time of cuts and hardship, national and local authority run museums can learn a lot from independents, as we have been generating our own income for years… tough times are nothing new to independents! We have to go into battle every single day to find funding and source new income streams. AIM: Kevin, What are you most looking forward to about AIM conference this year? KM: AIM conference is brilliant for meeting people and for finding out about other museums that you don’t yet know about. It’s always been a real pleasure for me meeting others from the sector – I really enjoy this aspect. AIM conference is a lot of fun too and it really can help you learn about best practice. But it’s all about the people you meet for me – I really do love attending every year. AIM: What other talks and sessions on the schedule this year interests you? KM: The whole schedule looks really good and very informative. There’s always sessions that run parallel with each other and you really want to visit both! But alongside the talks and sessions on collections related topics, there are sessions on legal updates, commercial optimisation, how to reduce your electric bills and even how to maximise catering income – brilliant! It’s important to stress that these aren’t peripheral topics either: they are subjects that will help you to maximise income and reduce costs. I can guarantee you will leave AIM conference full of ideas and that the cost of attending conference will be paid back tenfold thanks to all the saving and money making tips you will reap. AIM: AIM conference is something you really look forward to each year, but what would you say to encourage others to attend Kevin? KM: Conference is very friendly and informal, so if you are new to the sector or if your museum can only afford to send one delegate, please don’t feel intimidated because you will be made to feel really welcome. There’s such a strong sense of fellowship. AIM conference is always inspiring too and I especially enjoy hearing from people from smaller museums that are being innovative on a shoestring. I’m really looking forward to it and am very excited about AIM conference this year! Don’t miss out! Book now to ensure you get your tickets for AIM Conference 2015 at the best prices, as the members’ Early Bird Discount for AIM’s National Conference 2015 expires tomorrow, Friday 17th April. Full details about the conference and how to book are on the AIM website, http://www.aim-museums.co.uk/content/annual_conference/ Prices start at £45 per day. 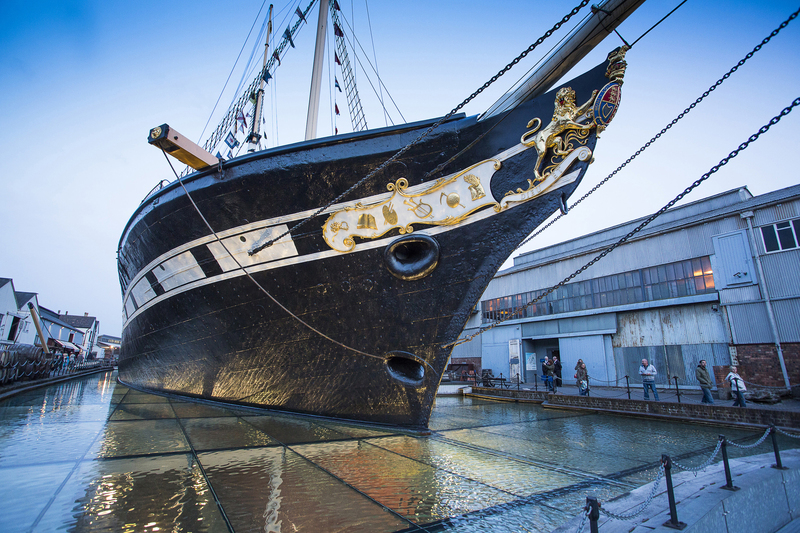 The conference is being held at Brunel’s ss Great Britain in Bristol from 18-20 June. It promises to be our best ever with more speakers, a new Question Time session, a networking lunch for industrial heritage organisations and new bookable surgery sessions with a wide-range of experts, as well as some great social events including the AIM Dinner in first-class dining, aboard ss Great Britain. The Conference title is ‘The Hallmarks of a Prospering Museum’ and sessions will cover three themes: Leadership and governance; Visitors and innovation in visitor experience and Business models and entrepreneurialism. 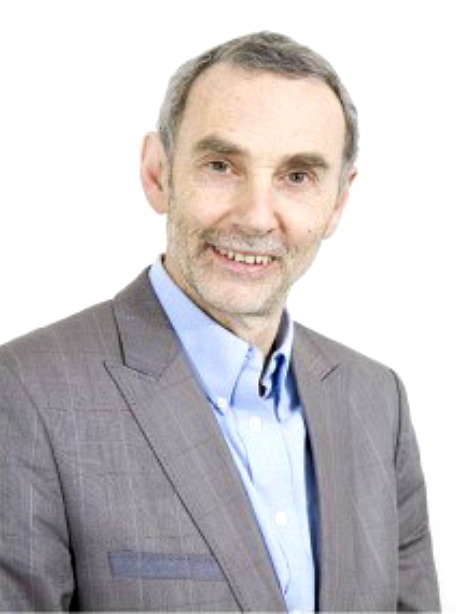 First to take his place under the spotlight is David Gilbert, Chairman of Creative United, a Community Interest Company that provides a range of financial products and services designed to enable the growth and development of the UK’s cultural and creative industries. Over the years, David has enjoyed a highly successful career in retail both in the UK and abroad, including as MD of Currys Ltd, COO of Dixons Stores Group International, MD of Waterstones Booksellers and chairing various retail businesses in Private Equity, including thought leader in the cultural sector, CultureLabel Ltd.
David will be talking at AIM Conference on the afternoon of Friday June 19 at a breakout session called ‘Zen and the Art of Motorcycle Museum Maintenance: a meditation of the art of the entrepreneur and its relevance to museums.’ He will be lending his unique outlook on entrepreneurialism and focusing his talk on approach, skills, resources, values and results and also on the application of entrepreneurial thinking to particular facets of business management in museums, including retail, multi-channel and visitor journey. David will complete his wittily titled breakout session by giving examples of income generation and alternative funding models. AIM caught up with David by phone as he was boarding a train before travelling to a business meeting and we were immediately impressed by his eloquence, passion for the independent museum sector and holistic approach to work and collaboration. AIM: Hello David, thanks so much for this interview, especially as you are about to board a train! Can you please explain why you think it is important for museums to take an entrepreneurial approach to their work? DG: The standard answer is that museums need to be entrepreneurial to offset reduced funding from government and that they need to create new income streams, but that’s a very one dimensional attitude and I think museums have a lot more imagination than that. By spending time and acquiring new skills, museums can create new ways of being entrepreneurial. Yes… museums might need to become more effective, become leaner in how they work and think of new ways of monetising what they do, but you can’t just inject entrepreneurialism, it has to be built up from an organisation’s core values. I’m not a Zen Buddhist myself, but I do admire the Buddhist ethos and holistic approach to life and work and that’s why I have used this angle for my talk at conference. AIM: What do you hope people will take away with them after your talk David? DG: I hope that they will have a greater sense of pride in what they are already doing. My talk will be about commercial optimisation and not what museums are getting wrong, because they are getting it right and have been for years. My talk will match the underlying enthusiasm that people in this sector have for their work and will build on that. AIM: Why do you think independent museums should attend this year’s conference? DG: AIM National Conference, like any conference, will help people to network, meet up with existing friends, make new contacts and borrow from best practice. But what is special about AIM Conference is that as a sector, independent museums are facing a real moment of both opportunity and threat. Yes, we have to face up and address threats but we can also find new ways of working with each other. Museums tend to have an unshakable belief in what they do…a sense of deep pride. Museums can build on this to grow and conference will provide the backdrop for future collaboration. AIM: David, what are you most looking forward to about AIM National conference personally? DG: Well! I really enjoy talking about things I am passionate about and meeting people that are just as passionate as me and also meeting new people so we can find ways of collectively making a difference. AIM: What other talks or breakout sessions interest you at conference this year? DG: I was really attracted by the title of Jill Fenwick’s talk when I saw it advertised on the programme which is called ‘I wish I had known this when I was asked to run the shop’ and of course, I’m looking forward to hearing what Matthew Tanner (AIM Chairman) has to say too. AIM: Thanks David for your time – is there anything else you would like to add? DG: Just that I hope people leave conference feeling confident and proud of what they are doing and that they have a new sense of what options, opportunities, skills and funding approaches they can use in the future and that the conversations and dialogue we start at conference keep going long after conference is over. Oh! And start meditating! Early Bird booking for AIM National Conference starts at £45 per day and closes on Friday April 17. The conference schedule can be found on the AIM Website and will be updated regularly in the run up to conference.